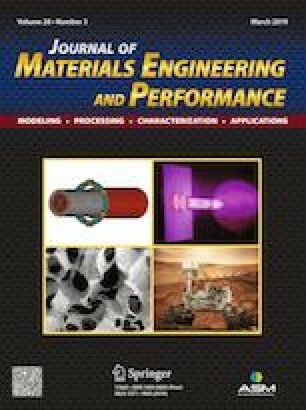 In this study, the effects of δ, γ′ and γ″ phases on the microstructure and wear behavior of Inconel 718 alloy, produced by powder metallurgy technique, were analyzed experimentally and a fuzzy logic model was developed for the weight loss prediction after the wear tests. Aging process was carried out in two stages: firstly at 720 °C for 8 h and then at 620 °C for 6-10 h. Wear tests were performed at five different sliding distances (400-2000 m) for 1 ms−1 sliding speed under 30 to 60 N loads. Weight loss prediction model was developed by using fuzzy logic method. SEM images of Inconel 718 alloy aged for 6, 8 and 10 h at 620 °C show intermetallic precipitates formed around particle boundaries. XRD examinations showed orthorhombic δ (Ni3Nb), BCT γ″ (Ni3Nb), FCC γ′ Ni3(Al,Ti) hexagonal Laves (Fe2Nb) phases formed in the structure with the same chemical composition and different crystal lattice. Accurate estimates were obtained in the developed fuzzy logic model. It was illustrated that this fuzzy logic model can be used successfully for the prediction of weight loss in wear tests of Inconel 718 alloy that was produced by powder metallurgy method.